Paper and Twine Crafty Design, LLC: My first blog ever!!! I had my first craft fair here in Ohio last Saturday. Got a few good pix of the booth. 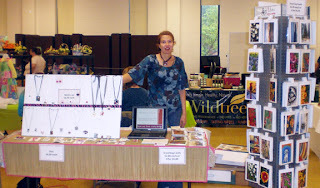 I met some great fellow vendors and we traded a few tips with each other. It was a rainy day, so not many people ventured out to the fair.